Gamers don’t have birthdays… they Level Up! Don’t see your preferred time and date? 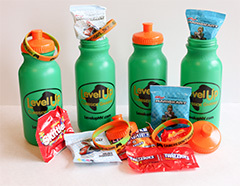 Contact us at (775) 636.2121 or LevelupNV@gmail.com! Complimentary photos of the party will be posted on our Facebook Fan Page. Holidays – Pricing and availability may vary, call for details. *We currently charge a travel fee for distances over 25 miles from zip code 89431. See our “Service Area” page for information about travel fees. Amazing new technology that some say is the “Future of Gaming”. Try it now in the Level Up Theater! Play as Batman…check out the Batcave… it feels as if you are there. Only one person at a time may use the headset. 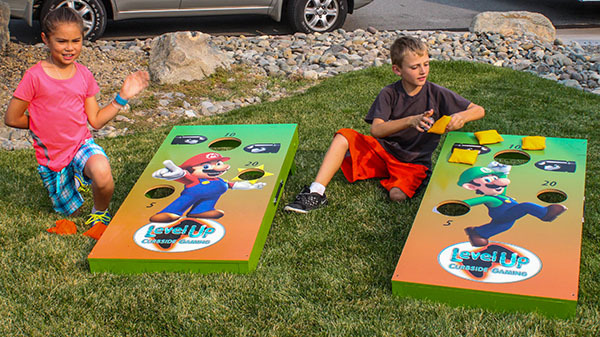 Want more activities for your party? The ability to play online games (eg. Fortnite, Overwatch etc.) with our WiFi Hot Spot or Wired Connection to your router for the duration of your party/event.Wireless signal strength and availability may vary by event location. We use Verizon as our carrier. In the event there is no cellular signal, we can refund your cost or run a cable to your router for data. Level Up Curbside Gaming offers a 10% discount for members of our military (active duty), police, fire and EMS. Use Promotional Code HEROES when booking. We can entertain 28 players at one time with 7 huge HDTV’s. 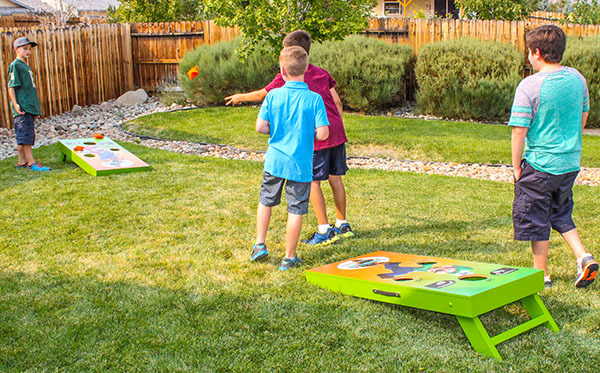 Large groups can be accommodated with a “Round Robin” style of play! We accept all major credit cards! Book your party today and pay easily with your Visa, MasterCard, Discover or American Express! Call (775)636-2121 or Contact Us for customized pricing based on type and length of event!